The sirens were way close and I could hear what sounded like 3 gunshots, Arms says. Brown said he saw the vehicle #MeaganGrunwald was driving speed past the Santaquin Mortuary. 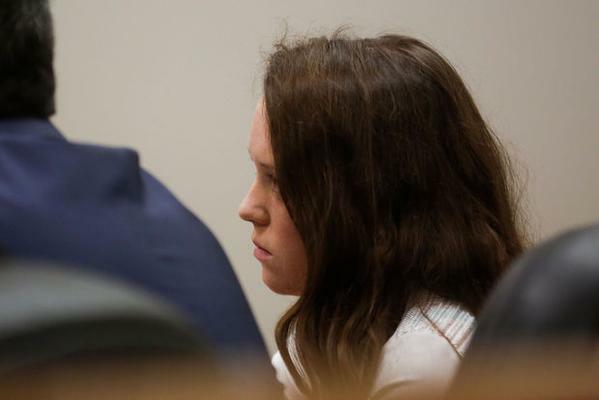 #MeaganGrunwald is in the courtroom, day 2 of trial should begin soon. "They were all over the road," Van Tassell said after he saw #MeaganGrunwald's vehicle behind him. Van Tassell said as soon as the truck was ahead, he realized it only had three good tires, sparks were coming out the back. Van Tassell spent over $1,000 to replace his blown tires. Since this, I had to take a long look at my own life and realize being gone wasn’t worth it to me, Van Tassell says, choking back tears.